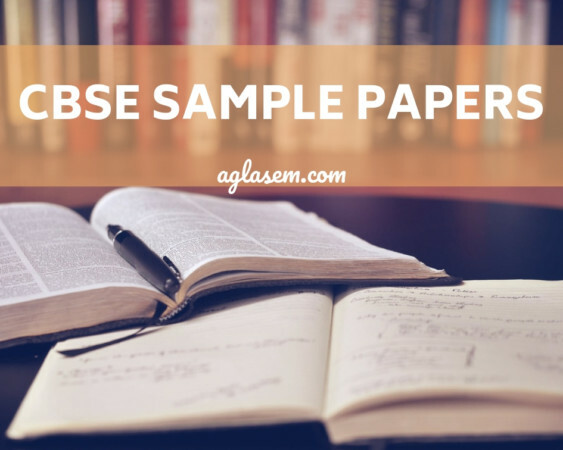 CBSE Sample Question Papers for Class 11 Economics Set A with Answers are now available for download in PDF format. CBSE Sample Paper is provided below with answers as per the guidelines of CBSE board marking scheme. Central Board of Secondary Education Board Exam Sample Question Paper for Class 11 is given here. CBSE Class 11 Economics Sample Paper gives an idea of question paper pattern and marking scheme. Economics Question Paper will include a section on Open Case Studies based-questions on two case studies, each from Part A and Part B of 5 marks, a total of 10 marks. These case studies will be supplied to students in advance. These case studies are designed to test the analytical and higher order thinking skills of the student. All the questions in the paper are compulsory. Please note that the paper given here is only a sample. Set A of Solved CBSE Sample Paper for Class 11 Economics is given below with its solutions. 2. What is the range of simple correlation of coefficient? 5. What is the main objective in relation to electricity under 11th five year plan? 6. List the major characteristics of an ideal measure dispersion. Calculate the rank correlation coefficient. 9. What is Bhoodan movement and what are its objectives? 10. What is the present system of the formulation of the plan? 11. Agriculture sector appears to be adversely affected by the reform process. Why? 12. Account for the current environment crisis. 14. Why was public sector given a leading role in industrial development during the planning period? 15. Why, despite the implementation of the green revolution, 65% of our population continued to be engaged in the agricultural sector till 1990? 17. What objectives did the British intend to achieve through policies of infrastructural development in India? 18. What do you mean by rural development? Bring out the key issues in rural development? 19. Explain the role of non-farm employment in promoting rural diversification? 20. What do you mean by dispersion ? Describe the various methods of computing dispersion. 22. India has certain advantages which makes it a favourite outsourcing destination. What are these advantages? 25. Distinguish between census and sampling method of data collection.